Indonesia is the fastest-growing country in the Asia-Pacific region when it comes to the digitization of financial services, but its penetration remains the lowest in the area. A recent report by global consulting firm McKinsey titled� Digital Banking in Indonesia: Building Loyalty and Generating Growth,� shows digital banking penetration has increased significantly. In 2017, the number of bank customers who used internet or mobile banking stood at 58 percent as opposed to 36 percent in 2014. However, only 5 percent of the population used digitized financial services in 2017. It was the lowest figure recorded in 15 Asia-Pacific countries observed by the firm. Myanmar, for example, was at 6 percent and Thailand at 10 percent. “However, while we also have robust penetration of nonbank services, it has only penetrated about 5 percent of the population,” he said. One of the reasons for such low usage, de Gantès said, was because Indonesians still favored services provided by conventional lenders over financial technology providers, such as peer-to-peer lending and payment systems. Peer-to-peer lending was the� business� with the third highest number of complaints reported to the Indonesian Consumers Foundation. This trend, he said, parallels with the jump in smartphone ownership to 124 million or 57 percent of the population in 2017, compared to 33 percent in 2014. According to the research, 55 percent of nondigital financial service users expressed that were likely to use digital banking in the near future. The figure is the second highest figure in emerging Asian countries after Myanmar. While the firm does not have an estimate for the annual growth of digital financial services, de Gantès said it would require more players in the field. For instance, the payment system sector is dominated by only two players, Lippo’s OVO and Go-Jek’s Go-Pay. Speaking on the same occasion, Indonesian Financial Technology Association managing director Mercy Simorangkir said there was a great lack of human resources in improving Indonesia’s digital financial services. She also rejected the notion of conventional banks and fintech firms competing with each other, saying that players from both sides had been collaborating over the years. 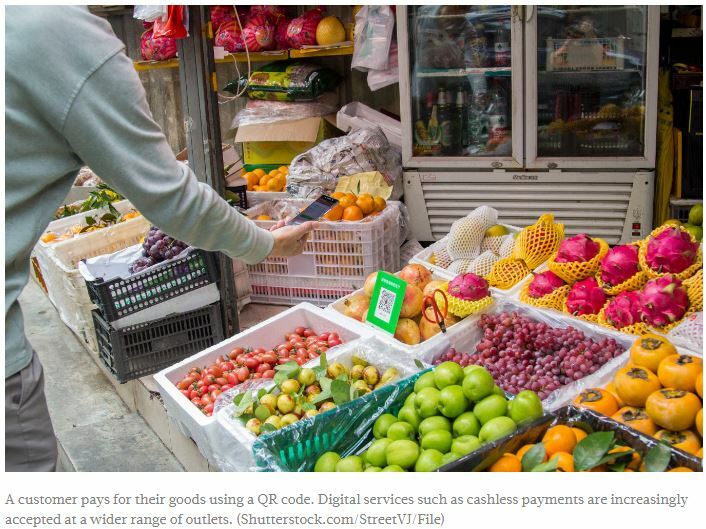 “The industry and policymakers are also working hard to overcome the challenges in growing digital financial services,” she said.